Shop in the usual way, adding everything that you fancy to the basket and then click checkout. Fill in the delivery form adding all your details and then you will be taken to an information confirmation page. Click Continue. 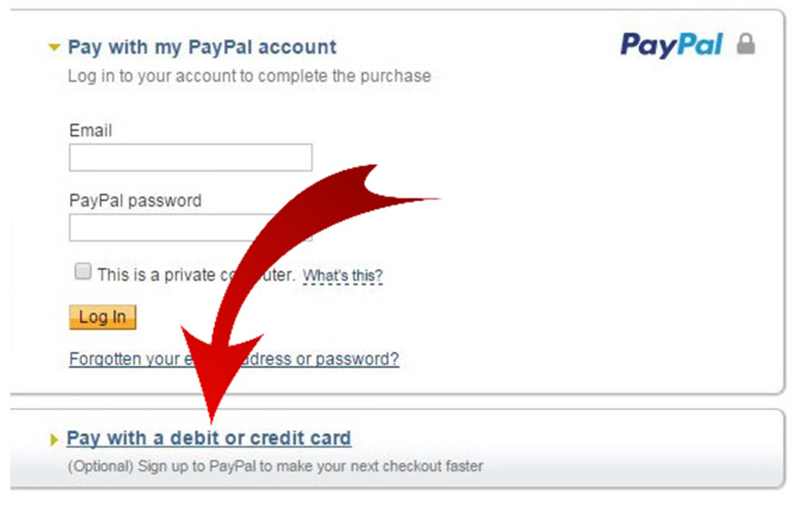 This will take you to a Paypal payment page – but you don’t need a Paypal account, this page is asking you to choose how to pay; either by Paypal or by debit or credit card. Click on the link to Pay with Debit or Credit Card as indicated by the arrow. This will change the page to include a form where you can select the type of card you want to use. From here simply fill in the form and follow the on screen instructions.